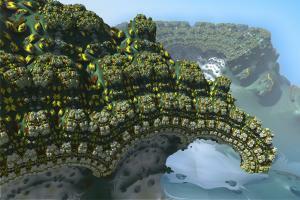 Description: This is a solid fractal, which dissolves nicely and almost completely even when approached with the camera. 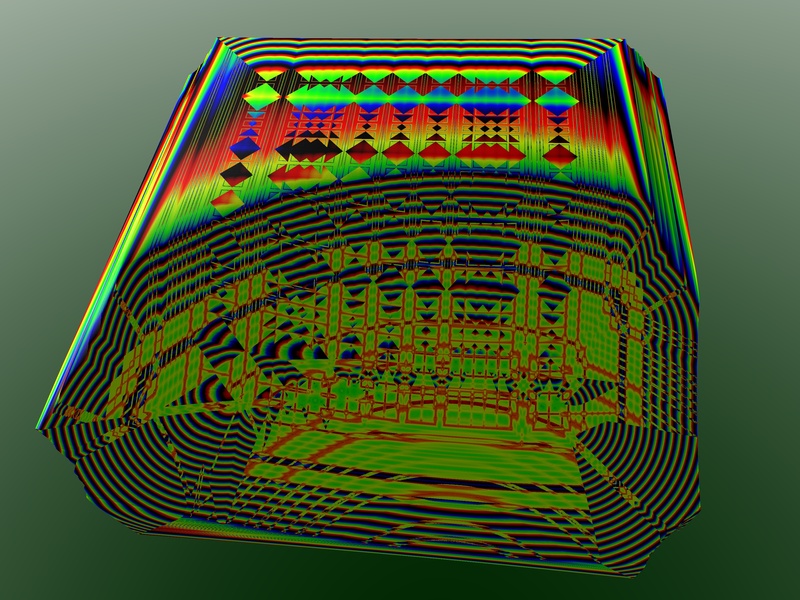 This gives free view on the color patterns inside of the solid mass. 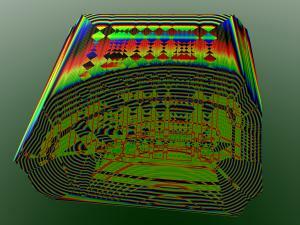 With apropriate detail level the fractal forms a hollow sphere for the camera if the point of view is inside. 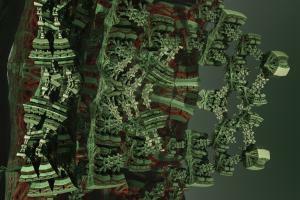 The outer layer of the fractal gets even faster thinner and lets the surface change colors.